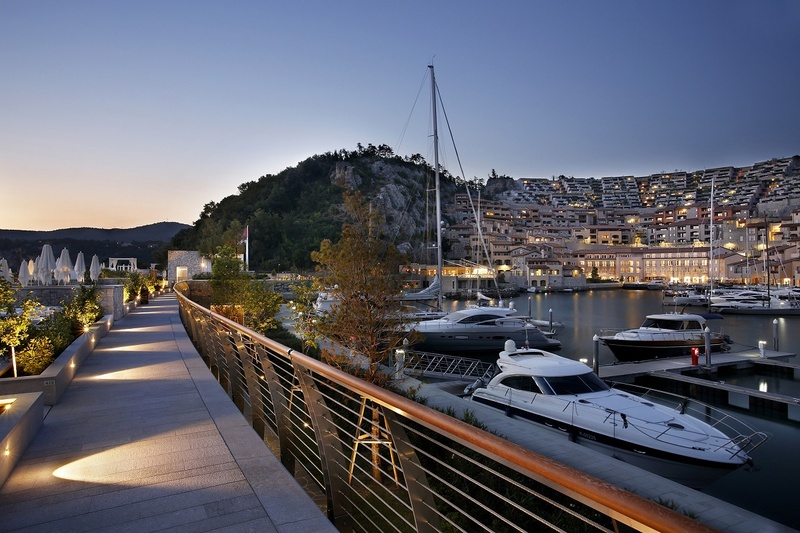 The Falisia, a Luxury Collection Resort & Spa is located in the beachfront luxury complex of Portopiccolo, along the Gulf just a few minutes from Trieste. With a great view on the sea and the square of the complex, the Falisia, a Luxury Collection Resort & Spa, features 58 elegant rooms and suites, one gourmet restaurant "Cliff", “La Piazzetta” lounge bar, a dedicate wellness & fitness area, conference facilities, private beach club with infinity pool. We have opened an amazing Beauty and Wellness Area, Portopiccolo Spa by Bakel of more than 3,000 square meters available for our guests and located just few steps from the Hotel. The Falisia includes yacht club, beach club, beauty Spa and a wide gastronomic offer with restaurants, bars, bakery along with a shopping street with an elegant promenade of fashion and design boutiques.We also offer a modern Congress Centre Portopiccolo Pavilion. With a maximum capacity of 350 guests for business meetings and events as well as a banqueting.